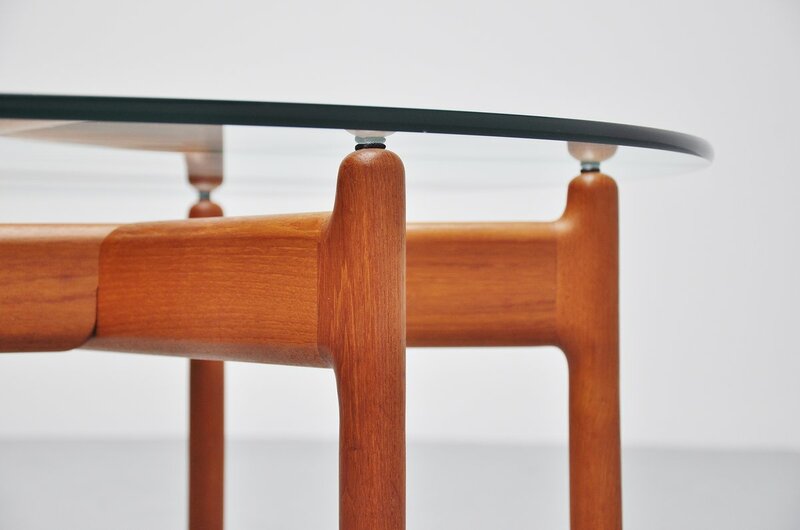 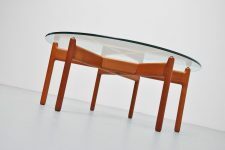 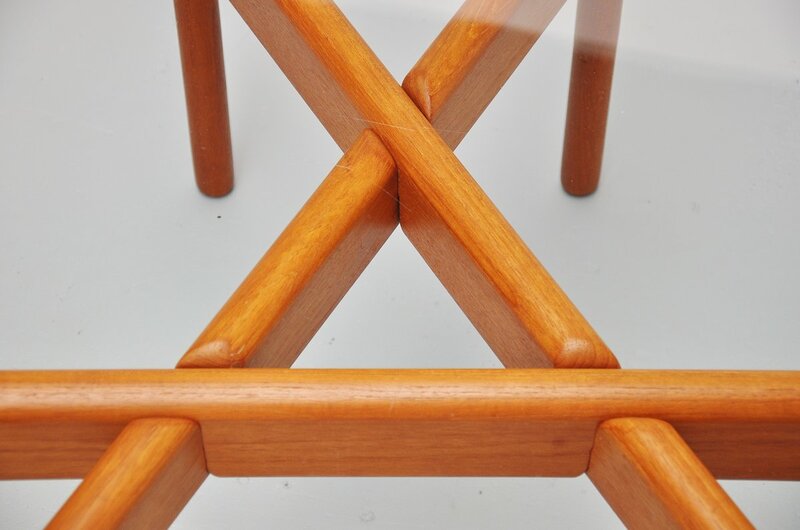 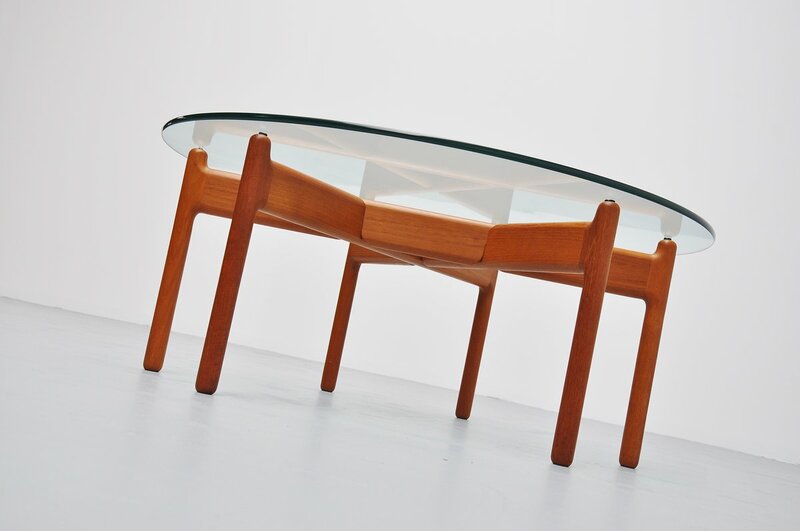 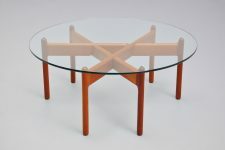 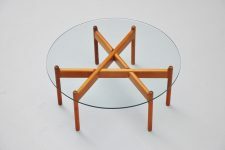 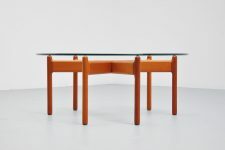 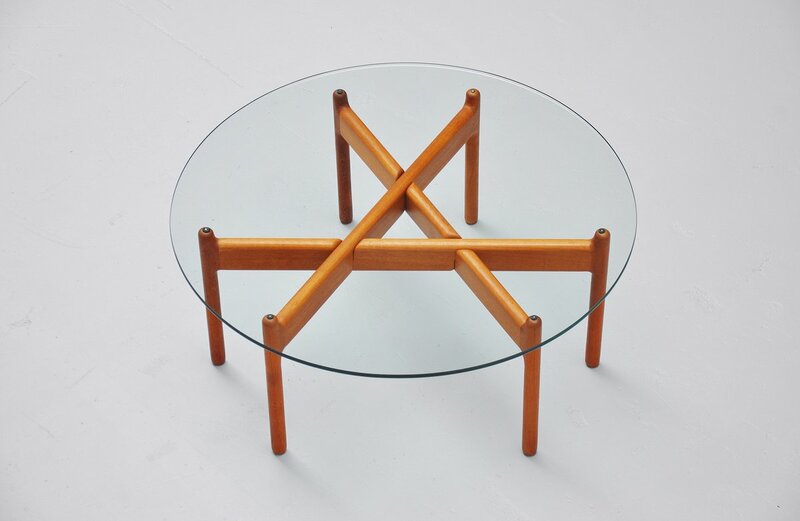 Very nice and rare coffee table designed by Niels Bach, Denmark 1960. 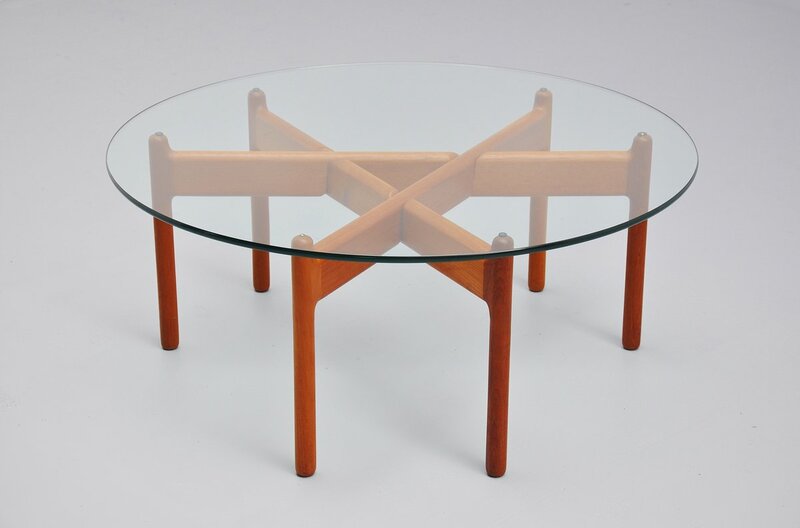 This table has a solid teak base existing in 3 parts, easy to assemble. With a thick hardened glass top. 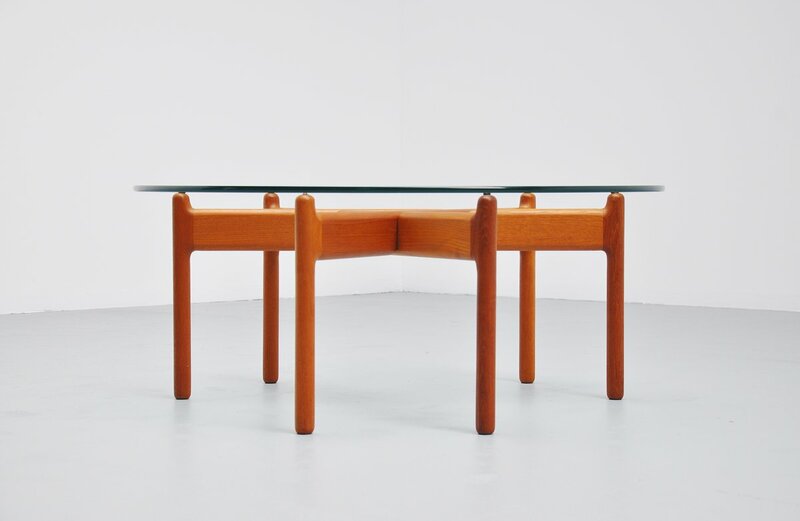 Very nice sculptural shaped table, we have a picture from a Grete Jalk interior where the table is on but there is no further literature available.